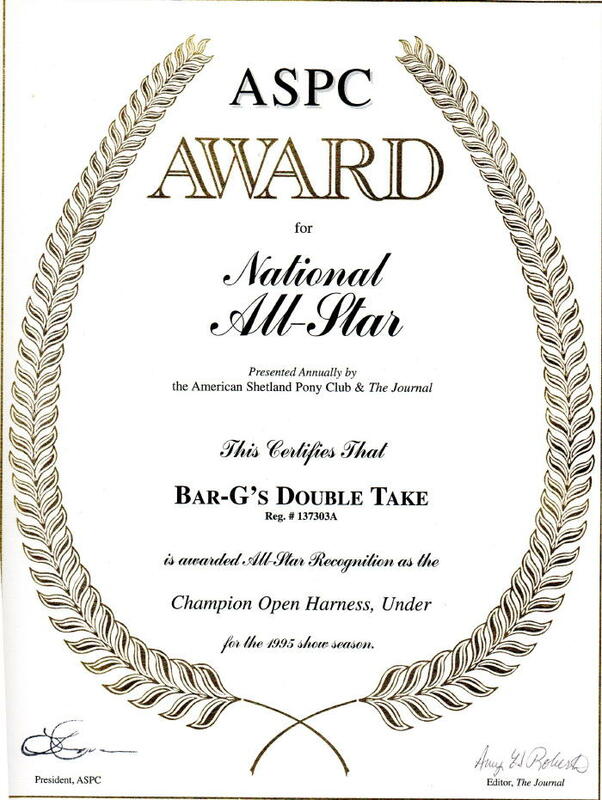 BAR-G'S DOUBLETAKE ( HOF ) # 137303A Foaled 4/24/1987 Sire BAR-G'S Rock "O" Dam BAR-G'S Rosa "D"
Foaled 4/24/1987 Sire BAR-G'S Rock "O" Dam BAR-G'S Rosa "D"
On May 9, 2015 Bar G's Doubletake was put down at the age of 28. 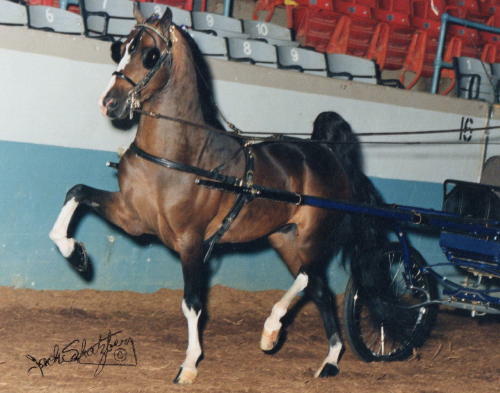 Take was foaled 4-24-87 and enjoyed a long career in the show ring and an even longer one as our primary herd stallion. 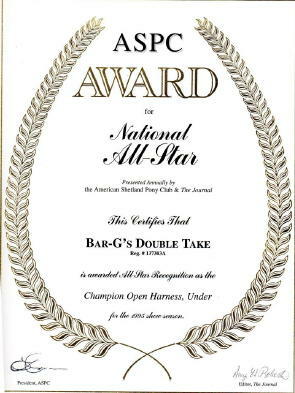 We were incredibly lucky to have both Take and Georgetown's Tomcat on the same farm, two stallions with distinct personalities which allowed us to tailer our mare selections accordingly. 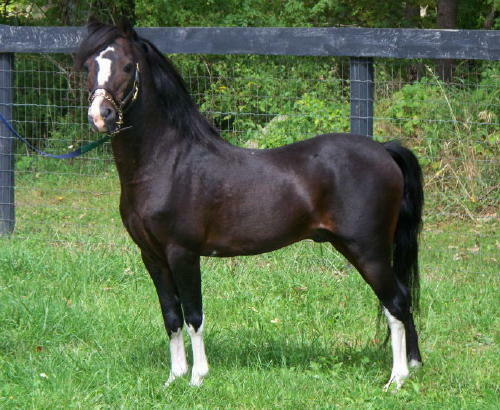 An off the wall mare bred to Take resulted in an easy foal to work with, while a laid back mare bred to Tomcat sometimes gave us a spitfire. We will miss our old man, he was the easiest stallion to work with and the hardest to let go, but take some comfort knowing his get is still out there, showing and showing off. Thank you to all who have shared a bit of this magnificent stallion with us over the years.